Our team of expert plastic surgeons are located in Birmingham, Bristol, Buckinghamshire, Glasgow, London Harley Street, Leeds, Manchester and Northampton. The facelift, known as a rhytidectomy, is one of the most popular cosmetic surgery procedures in the UK today. Thanks to growing media publicity about celebrities who have had the procedure, many patients are familiar with the concept of face lift surgery and now consider it an option as they get older and their face begins to lose its youthful shape. A facelift aims to produce a younger looking face and neck. During a face lift procedure, excess skin is removed and the neck, chin and cheek areas tightened up. At the same time, the overall effect is to reduce the signs of ageing. Surgeons will remove excess skin on the face, cheeks and neck. Wrinkles are smoothed out to hide the effects of ageing. What Facelift surgery options are there? What is the difference between a traditional Face Lift and a Mini Facelift? The traditional full face lift results in a scar which follows the hairline. The incision starts at the temple, goes around the curve behind the ears, underneath and back up to the next ear, curves around and returns into the hair. If your jawline is also sagging, the incision may go under the chin to correct this issue. The skin is lifted, pulled back and any excess skin is trimmed away. A mini facelift, however, typically results in minimal (or even no) scarring and can be used to correct other blemishes besides ageing. There are various types of mini face lift techniques, including the MACS (Minimal Access Cranial Suspension) facelift. You can read more about these on our mini facelift page. Am I suitable for a Face Lift? Both men and women can undergo the procedure. There is no minimum age for having face lift surgery, but most patients are typically 40-70. Patients above or below this age can sometimes be suitable candidates too. 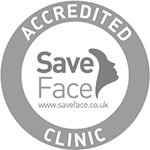 The mini face lift is particularly suited to those aged 40-55. Facelifts can be performed both for cosmetic or aesthetic purposes and sometimes medical or reconstructive purposes. You will need to be in good health, and at your optimum BMI (this is true with any cosmetic surgery procedure, as this aids recovery and response to anaesthetic). Your skin should also have flexibility and retain its elasticity. This is because the skin is pulled tight once the excess has been removed. You are likely to see a better result if you have adequate amounts of loose skin on your face or neck. The full face lift (or 'traditional' facelift, scientifically known as a rhytidectomy) is perhaps the most well-known of all face surgery procedures. The aim of a full face lift is to lift, pull back and trim excess skin on the face (and jaws if sagging in this area is a problem) in order to create a tightened, more youthful appearance. The combined full facelift and neck lift tightens both the excess skin on the face as well as the neck giving you an overall younger look. The mini facelift procedure is also known by a variety of other names. 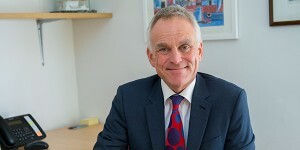 Some are more scientific or technical (the 'mini rhytidectomy') whilst others describe the cosmetic surgery technique itself such as the 'short-scar face lift' (S-lift) or variety of mini facelift (MACS mini facelift being one of the most popular types).